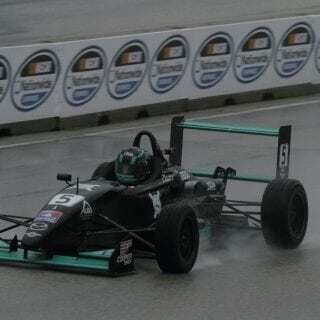 The Cooper Tires USF2000 Championship Powered by Mazda has announced its 2013 schedule, which will see the series expand its reach across the United States and into Canada. Seven premier circuits will host a minimum of 14 rounds of competition, providing up-and-coming drivers with experience on a blend of three permanent road courses, three temporary street circuits and one oval event. 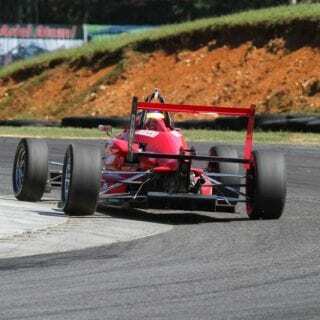 The USF2000 Championship 2013 season will open in Florida. The first two rounds of competition will be held at Sebring International Raceway in support of the American Le Mans Series and the 61st running of the Mobil 1 Twelve Hours of Sebring Fueled by Fresh from Florida on March 14-15. 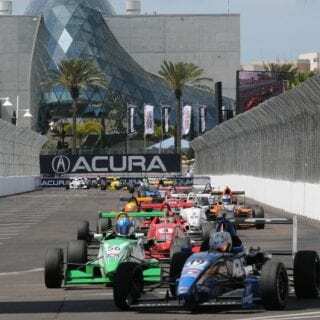 The series will head to the streets of St. Petersburg the following weekend on March 23-24, for a doubleheader in support of the opening race of the IZOD IndyCar Series calendar. The lone oval event will be the traditional “Night Before the 500” on May 25, at Lucas Oil Raceway in Clermont, Ind. 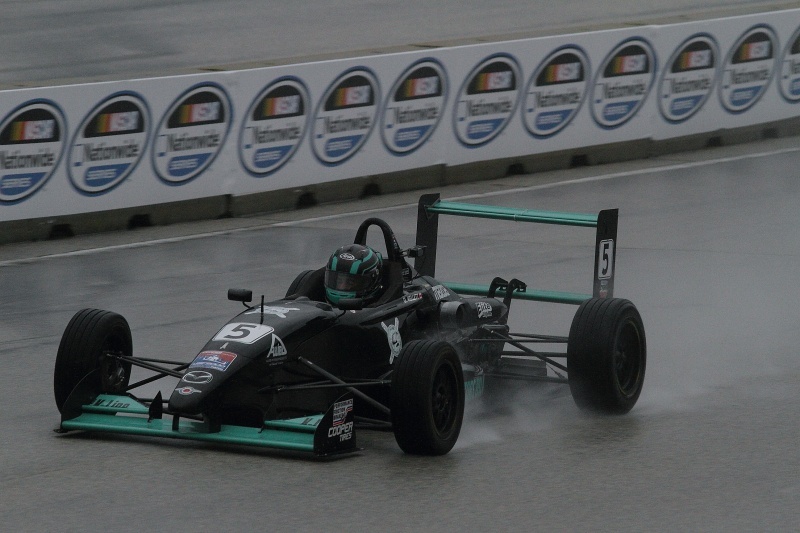 The race will be preceded by a Mazda Road to Indy Oval Clinic at the Indianapolis Motor Speedway on May 9, and a test day at Lucas Oil Raceway on May 10. The series will make its debut in Canada on July 13-14, with a pair of races in support of INDYCAR during the popular downtown Toronto street circuit event. USF2000 will again pair with INDYCAR on August 3-4, for a tripleheader round at the Mid-Ohio Sports Car Course. In September, the series will make its first appearance in support of GRAND-AM with a doubleheader – and potentially a tripleheader – weekend of racing at Mazda Raceway Laguna Seca in Monterey, Calif.
USF2000 will again move into new territory at Houston, Texas, for its season-finale on October 5-6, at the Reliant Park street circuit with a pair of races in support of INDYCAR. “I am extremely pleased with our schedule for next year,” said Dan Andersen, Owner and CEO of Andersen Promotions, the series promoter. 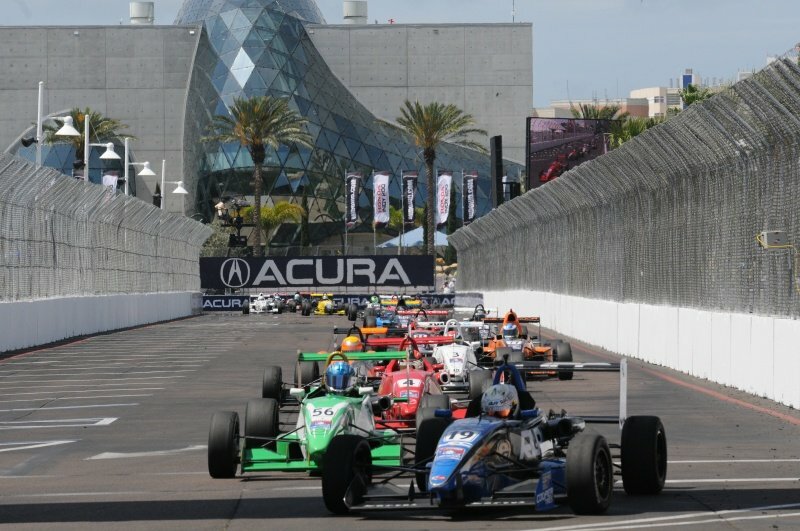 “We are expanding into three new and key markets in California, Texas and Canada, returning to circuits that have provided great racing and training for our competitors and increasing our number of events with the IZOD IndyCar Series to five. These high-profile races will allow us to showcase our rising stars and, coupled with our pre-season Cooper Tires Winterfest Championship and testing schedule, will provide our drivers with more track time than ever before. 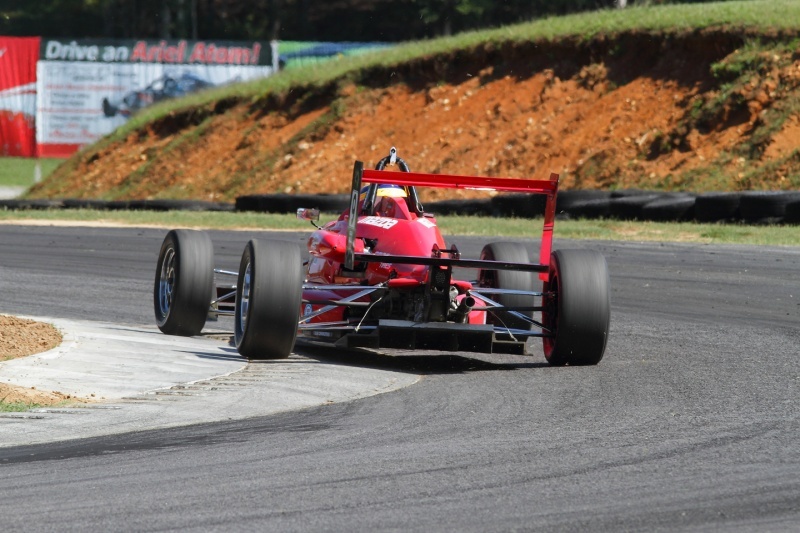 In addition to more racing action in 2013, the Mazda Road to Indy Summit program will continue to provide valuable off-track training. The first round of activities will take place during the St. Petersburg race weekend. This year’s curriculum included a presentation on what team owners look for in a driver, formal media training, a social media and marketing class, and Mazda’s Business of Motorsports seminar. The Summit will move to Indianapolis Motor Speedway during the month of May. Activities this year included a team owner meet-and-greet, shop tour, spotter seminar, and fitness and wellness class in addition to pace laps around the track with IZOD IndyCar Series drivers and participation in an autograph session on Community Day. The winner of the “Night Before the 500” will have the opportunity to pace the Freedom 100 Firestone Indy Lights race and be introduced before the start of the Indianapolis 500. The series also provides its own classroom training for drivers on a variety of subjects including competing on street circuits and in large fields, and offers support via two driver coaches. The USF2000 Championship will enter its fourth season of sanction by INDYCAR in 2013. Past champions include Sage Karam (2010), Petri Suvanto (2011) and Matthew Brabham (2012). Over $520,000 in prize money and awards is on offer. 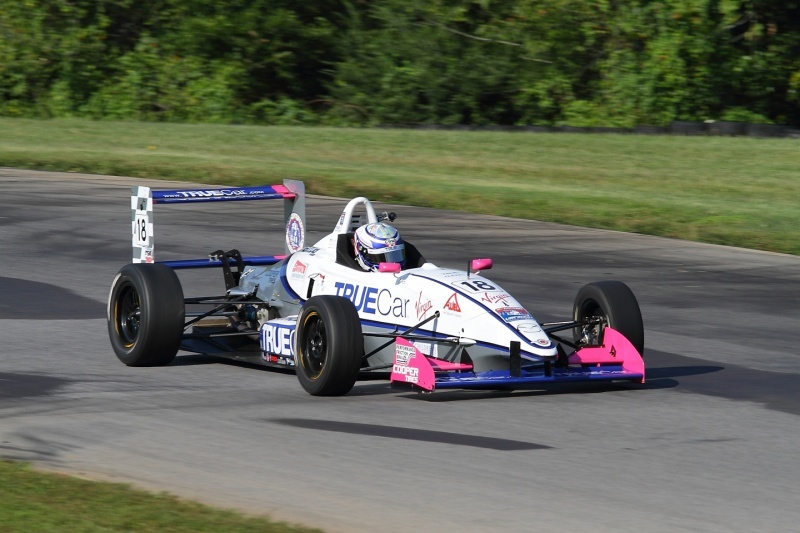 The 2013 champion will receive a scholarship package to advance to Star Mazda competition – the next rung on the ladder system – in 2014. The series’ National Class winner will receive a scholarship package to advance to the Championship Class the following year. 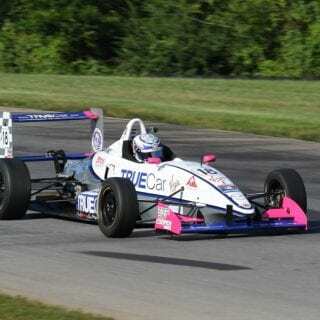 In addition, the series is part of the prestigious MAZDASPEED Motorsports Development ladder which assists young drivers advancing from the Skip Barber Racing School – the official racing school of the IZOD IndyCar Series – to USF2000.